In small bowl, mix dressing ingredients until well blended. In medium bowl, mix apples, orange and raisins. Pour dressing over fruit; toss gently to coat. Divide lettuce leaves among 4 serving plates. 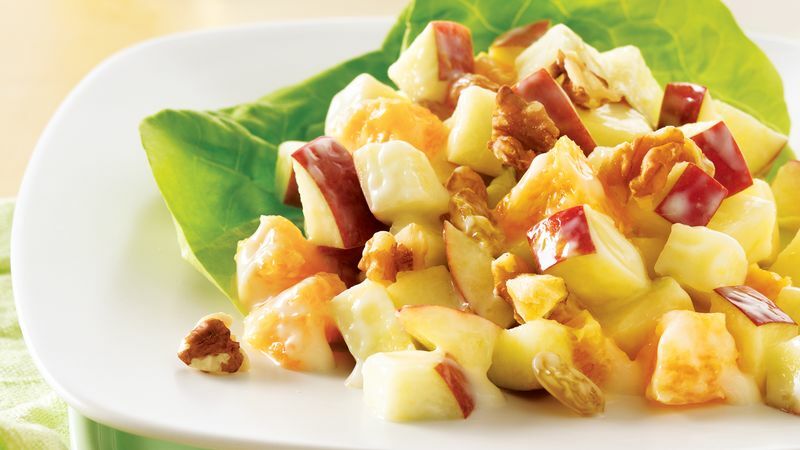 Spoon fruit mixture into lettuce leaves; sprinkle with walnuts. Use a Microplane grater to efficiently and effortlessly grate only the colored portion of the orange peel. Brighten the flavor by adding 1/4 teaspoon lemon zest to the dressing.